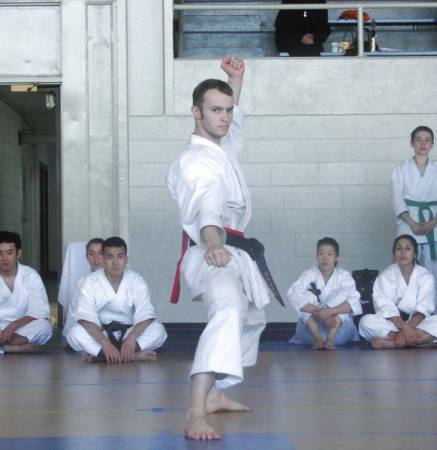 Dan Napier (3rd place green belt kata & kumite). SKDA Spring Championships - UConn Avery Point, May 6, 2002. 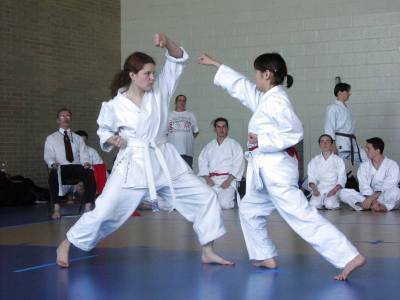 Alison Flannery (left, 4th place white belt kata). 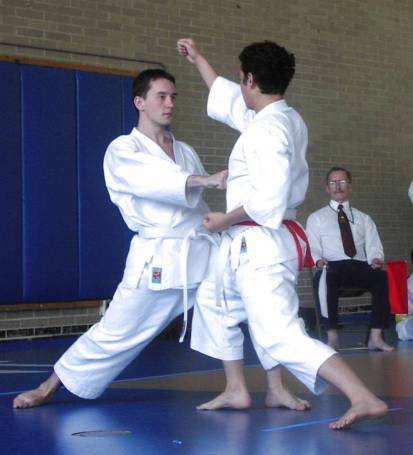 Rim Baltaduonis (2nd place white belt kumite) battles Hiro Hasegawa (1st place white belt kumite, 2nd place kata). 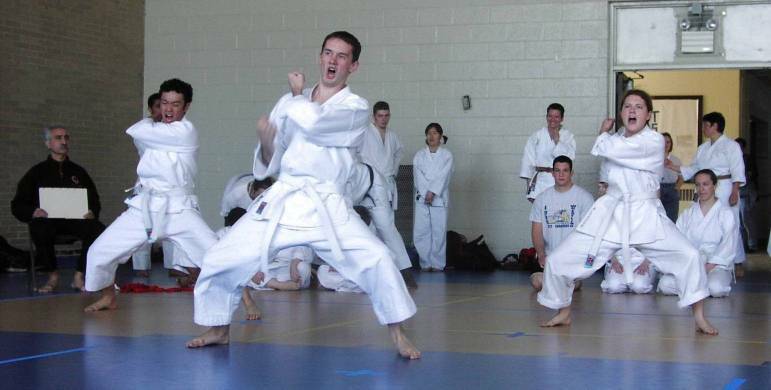 1st place UConn white belt kata team - Hiro Hasegawa, Rim Baltaduonis & Alison Flannery. 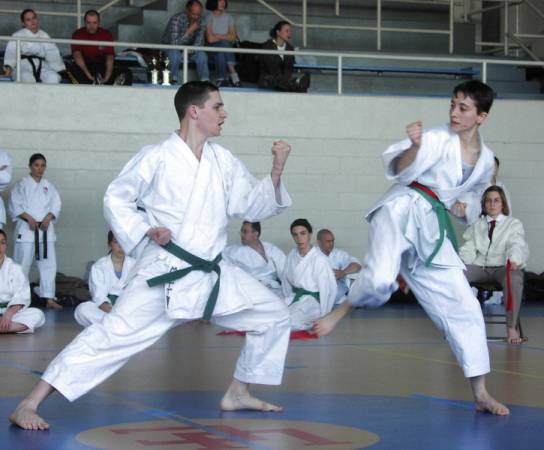 Matt Delude (1st place green belt kata & kumite) and Genia Kozorovitskiy (Princeton) in kumite final match. 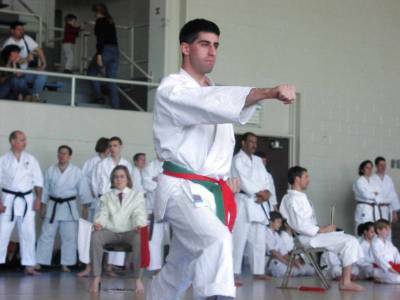 Mike Jacobs (3rd place black belt kata). Post-tournament festivities. 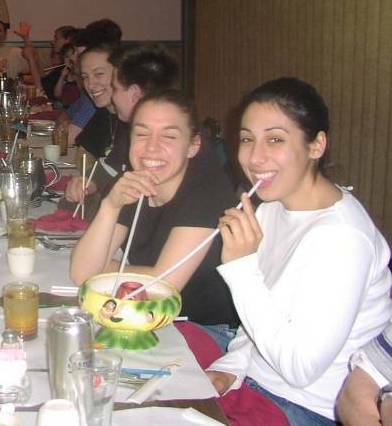 Aviva Bashan and Lia Burnham share an exotic drink. Elaine Morra is watching in the background.